With ever-changing tides of Asia come a number of individuals that are more inclined with the far-right portion of politics. Tidal wave of government reform have swept Asian nations abandoning the of old style of Western democracy and the outdated far-right governments for a modern and realistic type of democracy. ” We see a shift from a preference for Western-style democracy, the old paradigms, the old conventions of free trade and globalization, to more strongman rule [and] firmer control of governments." To prove this point, a report by the Economist Intelligence Unit revealed that the region of the Asia Pacific is, despite having experienced a rise in prior annual ratings, currently experiencing the largest decline in democratic freedom of any of the other regions. Yet it isn’t something the people should worry about for compared to United States President Donald Trump’s unstable administration, China’s leader Xi Jinping has shown a better hand at bringing governing stability to his home country. "I think it reinforces the view that perhaps Western-style democracy has not worked as well as it could in the past for many economies, and a different form of democracy, let's call it 'Asian democracy,' seems to be working better in many parts of the world," said Camacho. Camacho outright mentioned that iron-willed leaders are an utmost necessary in order to successfully economic reforms, a lesson that he picked up as the former Secretary of Finance of the Philippines. And Camacho was very particular about President Rodrigo Roa Duterte’s capability to reinforce radical reforms, like the tax reform, with his initiative and iron-willed personality, something that previous administrations can barely match up to. 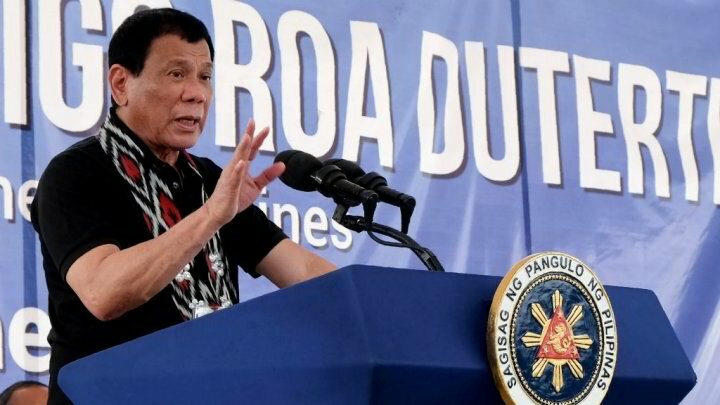 And despite being able to reinforce such ruthless reforms, the president still enjoys a particularly high satisfaction rate, even with the drawn criticism against Duterte’s war on drugs.